position in adopting novel approaches. There are several reasons why companies are moving to cloud-based applications and computing in droves, especially when it comes to online applications or Software as a Service (SaaS). In fact, it is estimated that adoption of these cloud-based services is expected to grow by as much as 27% by 2019. Of course, property management companies are no exception to this. While the hotel industry has led the charge with the Frontdesk system, commercial real estate management firms are quickly following suit. Even though property management software suites have become ubiquitous in the industry, more and more companies are opting to forego self hosted versions for online offerings. Modern applications such as Propertyware, AppFolio and Skyline are all available in a cloud-based SaaS environment. to watch in the coming years. Property management companies and commercial real estate, in general, have typically relied on multiple systems for their operations. Some of these have included property management, customer relation management, and spreadsheet software. While these are good at what they do, they do not always communicate with each other and provide avenues for seeing the big picture. Business intelligence software is designed to access, collate and analyze data from different sources to provide robust data intelligence capabilities. It synchronizes data from multiple streams into a single analysis platform. It is a huge market, expected to grow to $20 billion annually by 2019, a testament to the number of organizations rushing to adopt it. Some of the traditional business intelligence software on the market includes Microsoft Power BI, Oracle Business Intelligence, and IBM Cognos. 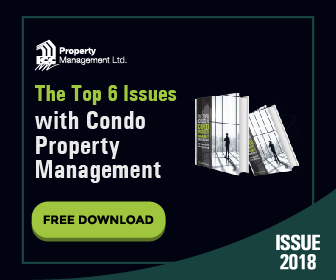 More and more property managers are using these tools to gain a bird’s eye view over their portfolios, measure performance against historical values, identify trends and gain actionable intelligence to help them make faster decisions. change the way their companies do business. Need Help Finding the Right Property Manager? Commercial real estate and property management firms are beginning to turn to state of the art drone aviation technology as a way to showcase their properties, providing stunning aerial views for marketing purposes. Many property managers are turning to the technology as a way of gaining an edge over the competition when it comes to selling the merits of the particular property. Moreover, they are increasingly using the services of companies like Skyline Studios who offer cost-effective expertise and drone rentals to make these marketing pitches more affordable. to date imagery and low cost, can prove invaluable. Internet Protocol (IP) traffic has grown by 23% annually over the past five years, with business internet usage alone increasing by a rate of 21% year-over-year. As telecommunications companies worldwide continue to roll out fiber optics to deliver their services, it is becoming clear that landlords and property managers must either upgrade their current infrastructures or install fiber optics when constructing new properties to handle the ravenous demand. Despite this, many property managers are having difficulty justifying the expense. Google Fiber, for instance, charges $300 per unit to upgrade from copper wiring, a cost that can prove prohibitive when it comes to large portfolios of multi-unit buildings. However, even though the capital investment might be high, property owners are seeing it as a necessary cost of doing business in today’s information age, not wanting to be at a competitive disadvantage by having an inferior data delivery infrastructure. Virtual reality is on the cusp of exploding into the commercial real estate scene, with estimates suggesting it is poised to become a $2.6 billion market annually in that sector alone. VR lets prospective tenants and buyers visualize a future asset to a sophisticated degree, and is starting to prove invaluable for sales and marketing teams. Existing properties can benefit from the technology as it allows for the viewing of spaces via a computer, allowing the user to conduct a virtual walkthrough from any angle without having to make a physical visit to the property. While the capital investment for this virtual reality technology is relatively high, costing upwards of $1,000 per high-quality shoot, the potential payoff is seen by many industry insiders as being substantial. Augmented reality, meanwhile, is also gaining a foothold. This technology takes the form of mobile and computer applications that allow the user to overlay information over a physical representation. For example, a prospective tenant can use augmented reality to envision how their space will be laid out, furniture arranged and paint schemes used. Google’s Street View has already made a noticeable impact on the industry by allowing users to explore streets and neighborhoods while researching prospective properties. So while the technology will never replace the physical experience of touring the property, it is likely to remain a disruptive technology that will change the way property managers market their spaces. Smartphones are, of course, everywhere. With 2.6 billion devices currently in use worldwide, it comes as no surprise that property managers are finding novel ways to make use of this ubiquitous technology. From customer service and administration to streamlining maintenance processes, mobile technology provides several useful avenues for property managers to oversee their portfolios with greater ease. It is clear that customers are using smartphones to interact with prospective landlords from an early stage in the leasing process. Property management suite AppFolio reports that as much as 40% of listings are viewed from a mobile device. The ultimate goal of any business is to maximize profits while reducing expenses. Embracing green technology is an emerging way for property owners to reduce their energy consumption and in the process lower their costs. There is ample room for improvement in the industry. According to the U.S. Department of Energy, commercial buildings are responsible for 18.7% of energy usage, a staggering 88% of water consumption and account for 40% of carbon dioxide emissions. Energy management consultants can assist building owners to negotiate energy portfolios while providing advice on how to retrofit properties with new technologies aimed at reducing energy costs. The introduction of smart sensors into buildings represents another way innovative technology is being used to transform the property management field. These Internet of Things (IoT)-powered sensors take advantage of remote connectivity to provide environmental intelligence while reducing administrative and maintenance costs. Once installed, they continually monitor buildings, collect data and analyze conditions such as temperature, humidity, carbon monoxide and smoke presence as well as overall air quality to provide real-time information. Once the data is collected, smart sensors can channel the findings to a centralized source for easy monitoring, offering the property manager an easy way to monitor their building’s environmental conditions proactively. These green technologies not only improve sustainability but will help building managers reap the rewards of reduced energy consumption and, accordingly, lower costs. These seven areas of technology innovation demonstrate that the property management industry is indeed riding the wave of the future, taking advantage of novel approaches to managing their portfolios that position them well in the face of market challenges. From adopting green technologies to leveraging business intelligence, cloud computing, mobile device adoption and even aerial drones, today’s property management company has charted a dynamic course to navigate the competitive landscape. ICC® Property Management is an award-winning Toronto-based company with a portfolio ranging from townhouse complexes to residential highrise buildings. ICC® is known throughout the industry for their standards of excellence, commitment to outstanding customer service and diversity. Whether full property management services or maintenance and administrative support are required, contact us to learn how ICC® delivers exceptional value to our clients.